Sunil Kanoria is a Kolkata-based Indian businessman with over 28 years of experience in infrastructure sector including infrastructure leasing & finance. He is the co-founder and Vice Chairman of Srei Infrastructure Finance Limited and also a trustee of Kanoria Foundation, which has as asset base of USD 10 billion. His other ventures include Quippo, which was launched in 2002 as an equipment rental business. He also formed a joint venture with Tata Teleservices in 2009 to form Viom Networks, a telecom tower company. In 2016, Srei’s stake in Viom Networks was acquired by American Tower Corporation. 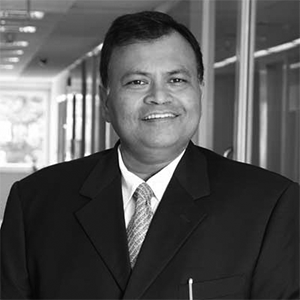 Sunil’s career highlights include membership to the group involved in the development of the 10th Five Year Plan (2002–07) of the Planning Commission, Government of India.